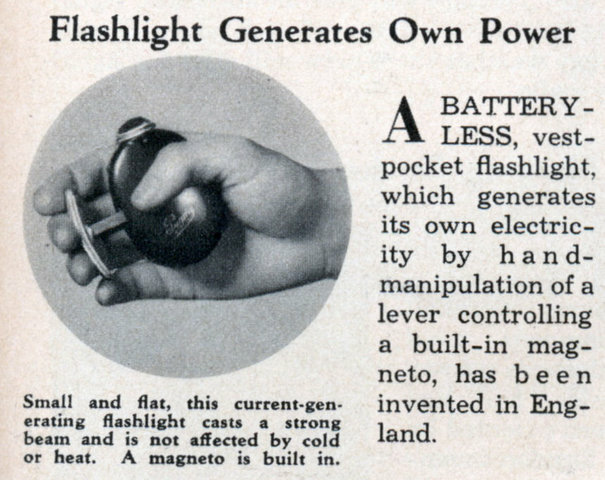 A BATTERY-LESS, vest-pocket flashlight, which generates its own electricity by hand-manipulation of a lever controlling a built-in magneto, has been invented in England. 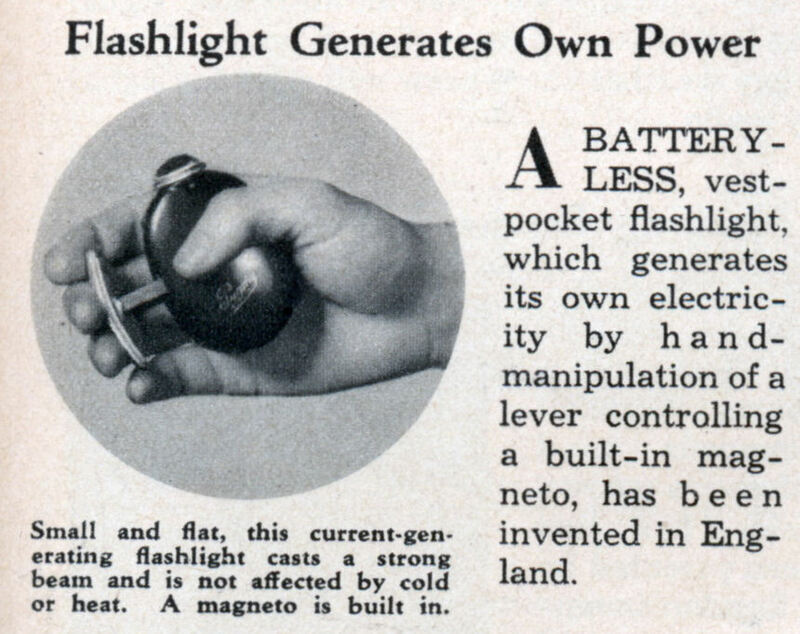 Small and flat, this current-generating flashlight casts a strong beam and is not affected by cold or heat. 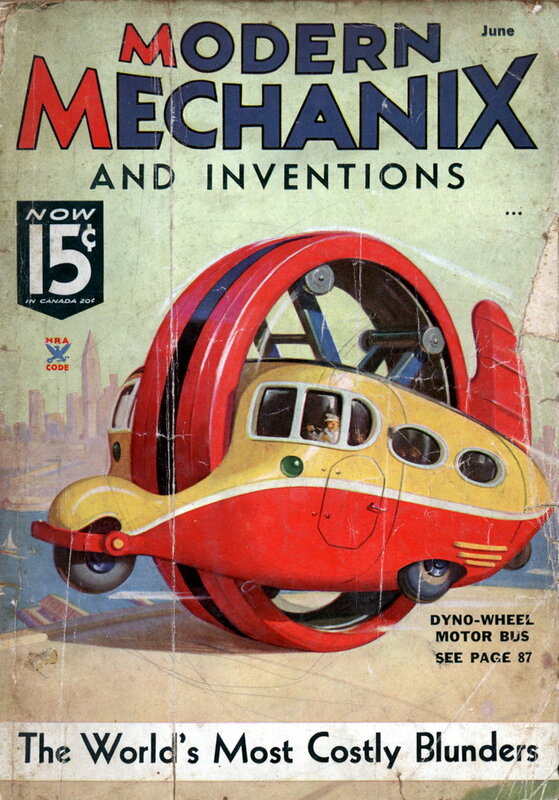 A magneto is built in.